Kristin Kreuk was a favorite among many for her role as Lana Lang in the first seven (and some change) seasons of Smallville. Now, she is the lead on her own show alongside actor Jay Ryan, The CW’s new take on the CBS classic Beauty And The Beast. In this role on this continually improving series, Kristin plays a cop, Catherine “Cat” Chandler, whose life is changed forever when a Beast (Ryan’s Vincent) enters her world. If you’re reading this, you probably already know those things. 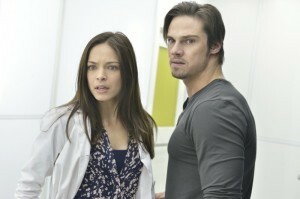 After all, BATB is one of the most frequently read-about series here at KSiteTV. At last weekend’s Wondercon convention in Anaheim, California, we were able to speak with the charming Ms. Kreuk about what is coming up next. “It’ll be a lot of Muirfield, a lot of Evan, Gabe… and also even coming in to a more personal storyline where you start thinking about a future with the person you love and realize that future is pretty, yeah, dark,” Kristin says about what is coming next. 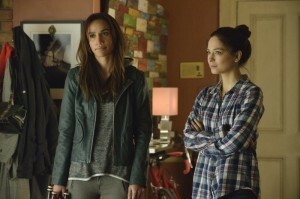 When we see more, we’ll also see that the friendship between Cat and her partner Tess will be repaired a bit. “We get them to be partners again which I missed,” Kristin says. “Nina [Lisandrello] and I were like, ‘Okay, that’s it. We’re done with this mad-at-each-other business.’ So we get to see them be a team, and it’s not going to be the same way they used to, because the procedural’s kind of, like, died, so it’s more about dealing with Muirfield and there’s some big storylines for them in regards to that,” she teases. Kristin seems to imply that the procedural aspects are going away in favor of the show’s mythology. “You know, I’ve been pretty honest: I think it’s a season one thing where you try something out, and it’s like, ‘Wait. This works, this works, this isn’t working as well’,” she admits. “I think the best procedurals are procedurals. They’re just pure procedurals. The stories have to be so complex and you’ve got to make sure that every little piece…. and when you’re dealing with the mythology and the romance, it’s hard to keep all that in, so if we can just do mythology and romance… there’s still what you would call a procedural element [with a] certain episodic thing that happens. I think we can do a better story this way,” she explains. Kristin teases that she “knows the whole thing” about how Season 1 ends, and she thinks that we’ll know more about Season 2 closer to May upfronts. “Because the show is performing decently but not like, exceedingly well, I think we’ve just got to wait and see,” she says. If Beauty And The Beast does get a second season, a lot of that can probably be chalked up to the show’s very loyal fan base. “They’re rabid,” Kristin says. “I don’t know what we tapped into. It feels stronger than Smallville fans in some ways. I know! But, the intensity. It’s a smaller group, but the intensity of it is so strong. It blows my mind. I think it’s really wonderful how passionate they are about a love story. I don’t know how we did that. I really don’t, and I’m kind of in awe of it. Like, ‘Wow, they really are committed to this’,” she says. One reason for fan passion lately is that the show has not wasted any time in getting Cat and Vincent together — something that Kristin does not think was part of the original plan to happen so soon. “I think [the plan was] to hold off. I think it really was,” Kristin reveals. “I mean, it’s obvious, we changed the direction of the show so much. I’m surprised, but I like it. I like exploring the relationship as opposed to, ‘ Yes, No, Yes, No, Yes.’ That’s not as interesting to me. Maybe it’s because I’m 30 and I just want to know. Let’s get in the relationship, let’s see where it goes from there,” she laughs. 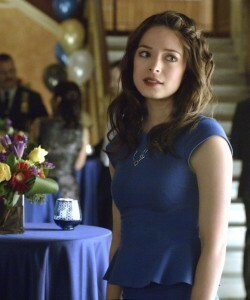 Beauty And The Beast airs Thursdays at 9PM on The CW, with the next new episode coming on April 18. See some upcoming episode imagery at our Beauty And The Beast hub!